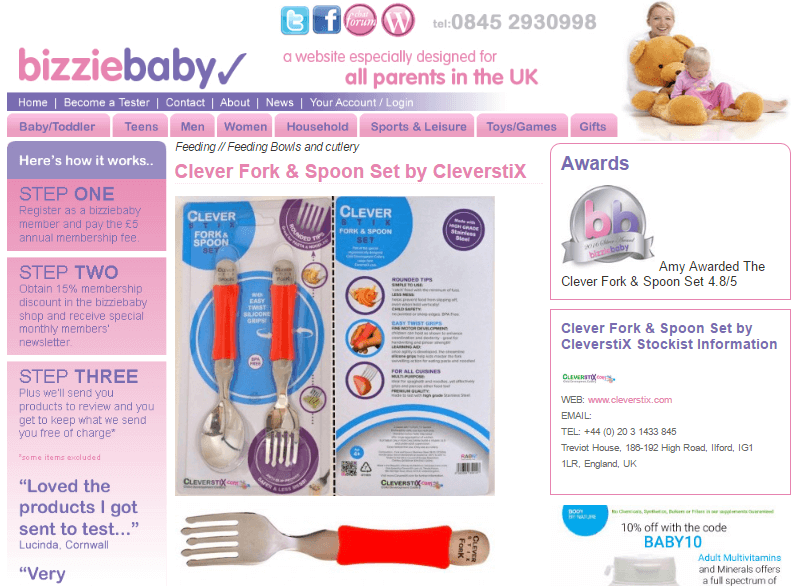 Clever Fork & Spoon Set wins BizzieBaby award! 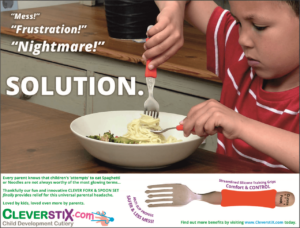 Less than 3 months after winning the Feeding Cutlery category award for our CleverstiX product we are delighted to announce our Clever Fork & Spoon Set has just emulated that feat and secured our latest Product Review accolade! BizzieBaby boasts nearly 30k followers on Twitter and reviews are independently conducted by Bizziebaby members. Three judges road-tested our Clever Fork & Spoon Set, with the highest score being 4.8 out of 5 and others coming in at 4.7/5 and 4.2/5. This ensured the title of “Winner Bizziebaby Silver Award 2016 – Feeding – Cutlery Category”. READ the full review on the BizzieBaby website HERE.